Glows: Creatively engaging, versatile, fun to use and experiment with. Follow instructions or invent your own original devices! Grows: There are so many more cool parts (called Bits) not included in the kit. You are going to want to buy more. 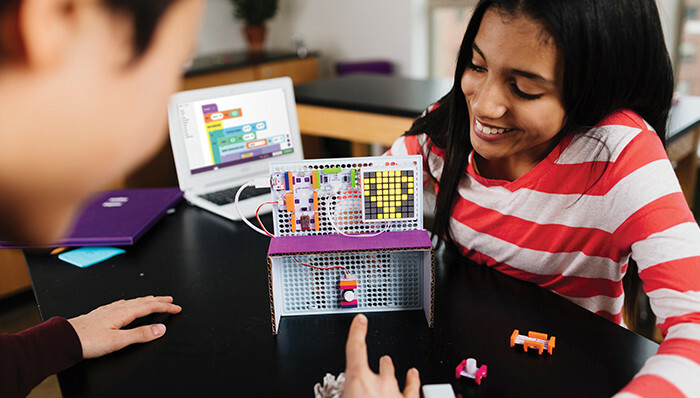 LittleBits uses color-coded electronic building blocks to empower anyone to invent their own gadgets. We got a chance to try out the Coding kit, but there are many different kits you can explore. Each is packaged with all the pieces you need to get started, helpful documentation, and quickstart guides. Alongside the kit comes a free downloadable app for Windows, Mac, or Chromebook that helps you write code that make your contraptions work. The littleBits Coding Kit is one of the coolest toys I’ve ever played with, and surprisingly easy to get started. The bits’ puzzle-like design makes it easy (and FUN) to experiment. The free app is brimming with projects and tutorials to guide you on your way. The code-interface will be familiar to users of Scratch, Blockly, or any of the other high-level coding platforms that have proliferated in the last few years. Beyond the starter projects and tutorials the kit gives you everything you need to go off the rails and design something completely new. You may start with a light dimmer and end with a futuristic code-powered instrument or game. There are several different types of “littleBits” included in the Code Kit. The blue bits provide power, much like a phone or laptop charger. The pink bits are inputs like buttons, dimmers, and even pressure sensors and sound triggers. These are used to control your invention. Orange bits are used to transmit, split, or control signals. This includes the “codebit” that connects to your computer through wifi and stores and runs your code. The green bits are some of the most interesting: they are the outputs. The Code Kit comes with a bargraph, a servo, a speaker, and an LED matrix. These are the bits that will bring your invention to life. Beyond the electronic parts of your invention, the kit includes several other types of parts as well. There is a rechargeable battery, USB cords, and a USB dongle that will allow the orange codebit to talk to your computer. There is also a mounting board and parts to mount the bits, attach to the servo, and more. 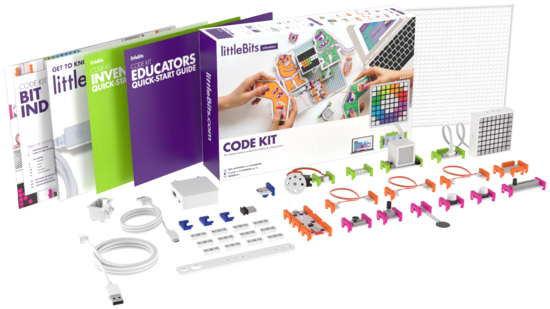 Littlebits makes parts that are not included in the codekit. These include everything from temperature sensors to logic gates. These parts can be purchased individually, but they are a little pricey. If you’re looking to add to your collection the kits seem like a much better deal. 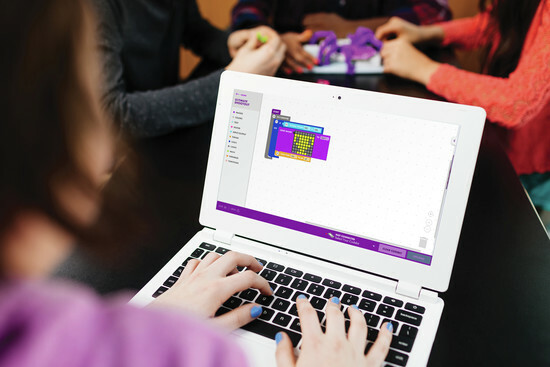 The littleBits Code Kit is incredibly rewarding to use because it is designed for creativity. I found it to be less a set of instructions to follow and more like a box of tools for creative invention. It doesn’t want you to follow the instructions all the time! The parts can be easily snapped together, pulled apart, rearranged, and reused in endless configurations for all sorts of projects. It really got my imagination going! I found myself considering all the ways I could use to the parts I had to make something completely new. The Code Kit rewards innovation, creative thinking, and even just experimentation. 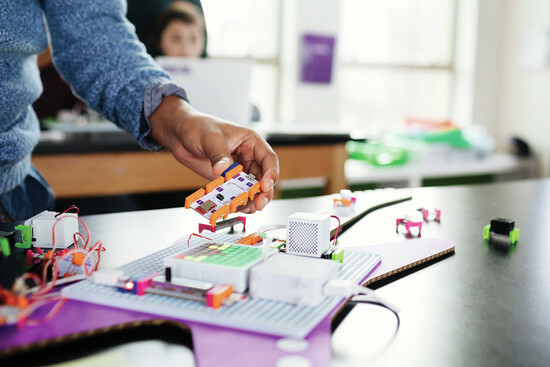 With the puzzle-like pieces and focus on creativity, littleBits takes a hands-on approach to teaching coding and robotics. Seeing your code control the littleBits in your hand makes it easier to understand and much more exciting! Nothing beats seeing the effects of your code in the real world. It’s definitely the coolest toy I’ve ever played with. 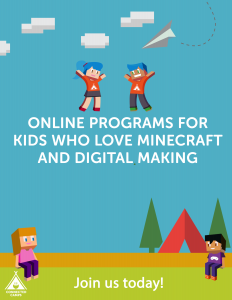 It’s hard to imagine a better way to introduce coding or maker culture to your child. Disclosure: I received a free Coding Kit from the company, which I used as the basis for this review. Catherine Fox is a Connected Camps Assistant Camp Director with a BA degree in Interactive Entertainment from USC.